The diagnosis of uncomplicated hydatid cyst or any of its complication rests on a strong clinical suspicion. 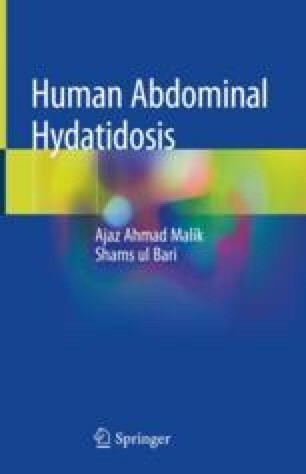 History and clinical examination remain the mainstay of diagnosis of hepatic hydatid disease. The history of having resided or travelled in an endemic area is always a strong diagnostic lead. Despite the extent of lesion, the patient is generally healthy because of the absence of any systemic ill effects of echinococcal disease.